TORONTO – November 3, 2017 – As the leading independent national voice in Canadian K-12 education, the CEA/EdCan Network is pleased to announce that Darren Googoo has been elected Chair of the Board of Directors. Darren has been the Director of Education for Membertou – a Mi’kmaw First Nation community – for 19 years. He also serves as Chair of the Council on Mi’kmaw Education, and Chair of the Cape Breton Victoria Regional School Board. 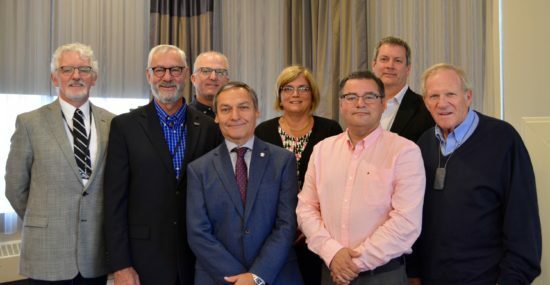 The EdCan Network Advisory Council provides a forum for expression of countrywide issues and trends in education and advises the Board on the direction and priorities for the Network. Council members provide visibility and act as advocates for the EdCan Network within their respective professional communities. They are drawn from all regions of the country and serve a three-year term, which may be renewable for a second three-year term. Brought to you by the Canadian Education Association, the EdCan Network is the independent national organization with over 75,000 members working tirelessly to ensure that all students discover their place, purpose and path.